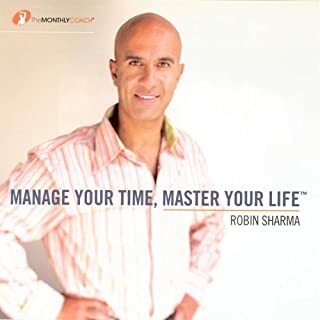 For more than 15 years, Robin Sharma has been quietly sharing with Fortune 500 companies and many of the super-rich a success formula that has made him one of the most sought-after leadership advisers in the world. 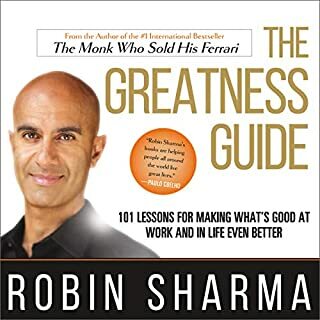 Now, for the first time, Sharma makes his proprietary process available to you, so that you can get to your absolute best while helping your organization break through to a dramatically new level of winning in these wildly uncertain times. 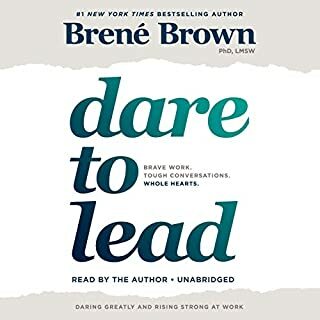 Regardless of what you do within your organization and the current circumstances of your life, the single most important fact is that you have the power to show leadership. Wherever you are in your career or life, you should always play to your peak abilities. This book shows you how to claim that staggering power, as well as transform your life and the world around youin the process. I loved the fable style of storytelling. The characters were unique and their vocation matches their advise. Nicely crafted. 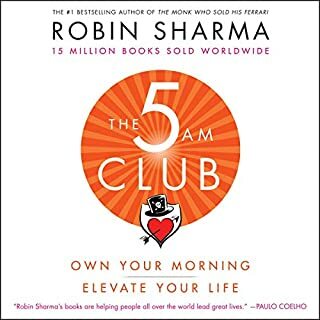 Even though this book might look like a business management - I think it is a self management book. 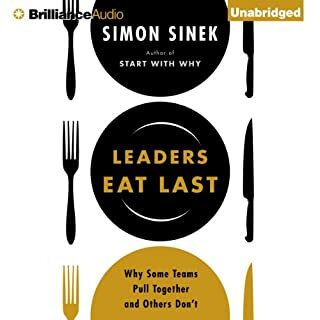 A friend and I were talking about business books and she recommended this one to me. 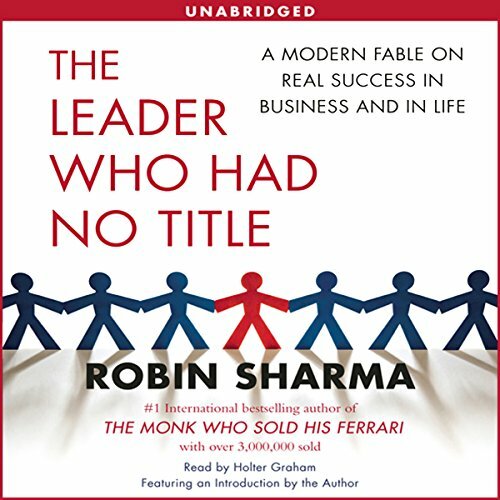 It is a sort of fable, so pretty easy listening for a business book. As for #Audible1 this is my second account as I had a .com one and then got a Canadian one. I'm still a bit confused about which one I'm logged into, but I love it nonetheless! The lessons are taught in the form of a story which makes it easy to listen to. The narration was great which also helped keep my attention. Lots of great insight and advice. Empowering message to all of us wether we work for organization or have our own businesses. 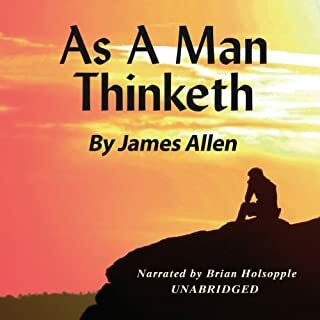 The only bad thing about this audio book is the narrator (in my opinion). I did not like the way he exaggerated the accents of each character or voice, I thought it was a bit childish to do this and a bit racist to attempt to do them. It was a bit too much and made me not enough the book so much. If you get pass the fake accents and exaggerated enunciation of each character, then the content of the book is incredible. I guess no academy award or Oscar for Holter Graham. 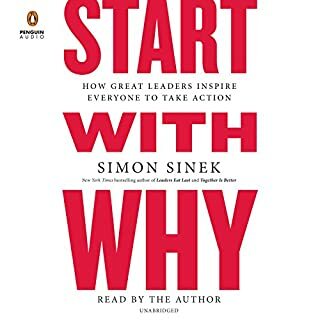 This is one of 3 books that i use every year to reboot with in January. The lessons are timeless and so very valuable to me. A true base of stoicism. 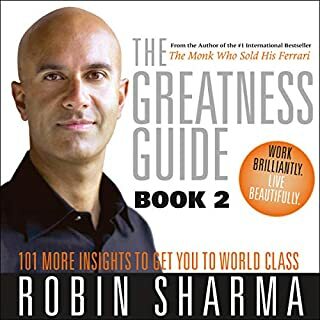 Thank you Mr. Robin Sharma! Great book but the fake Hispanic woman accent kills me. Someone should definitely read over that part. 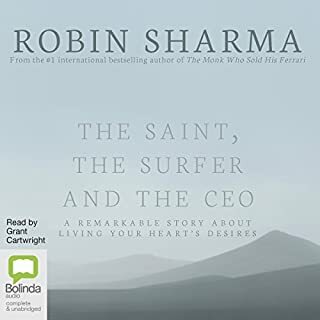 Super great read! Recommend to everyone. lots of great characters and morals. like a children's tale for adults, as the protagonist is on a journey to learn life lessons and teach them to others. Highly recommend! 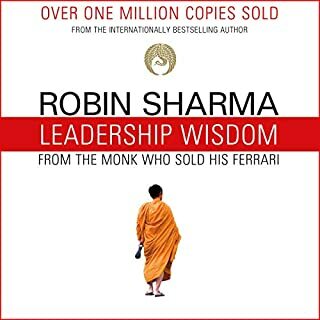 You always learn something when you read Robin Sharma's work. You always find new ways to apply old teachings as well. Such a contrived story!! uhhh! This publication is interesting and I will do my best to following the suggestions offered in order to enhance my leadership skills. As stated , in the publication is challenging, but definitely achievable. I am confident it will work for me and hopefully for others with whom I come in contact. Let's go! Let me start by saying that I wish I had found this book 20 years or more ago! 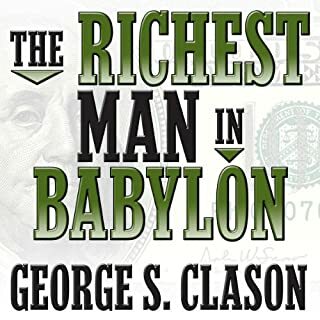 This is the type of book that will bring the change in your life that you are really seeking. Authentic change, one that represents who you are and what your values are. 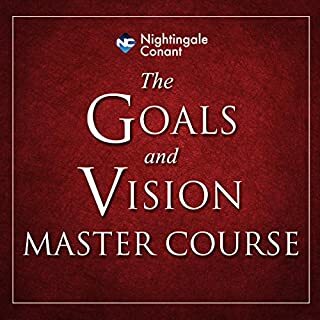 Not only does it provide great insight, with amazing stories, but it also provides the tools that you want and need to bring your life to the next chapter or the next level. 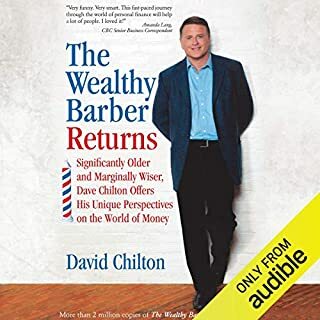 I recommend this book to anyone at any stage in life from a young adult to someone approaching midlife or going through it or even someone in their senior years. Everyone has so much to get a headache comes down to being inspired by the right people, or the right book, or just the right timing. I had the the pleasure to hear Robin speak in 2009 and was totally blown away. He spoke of this principal during his Keynote Address. 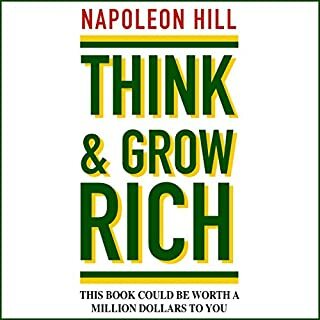 This book is the blueprint to self mastery and it is the key to unlock anyone's potential. I look forward to my next connection with Robin again. Thank you for your Leadership and Heart. 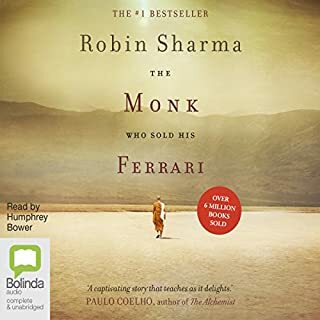 Robin Sharma has always been great at getting his points across in story form and I think it does a great job of delivering the message as it doesn't ever seem in your face. I will definitely go back and re listen to a few key points to make sure I jot them down on paper. This is my first review I ever write, because I think it is so awful it hurt me listening. An endless thread of common place thoughts, not one original idea, the story feels lifted from Dan Millman's Peaceful Warrior and everything is glued together with empty phrases. 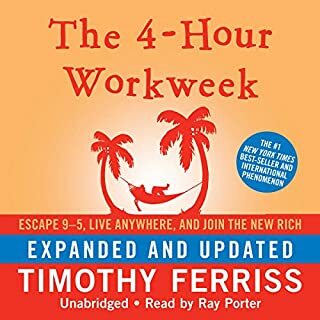 It must be hard to come up with something new in the self help genre, Seth Godin's last book I read before was also very disappointing. 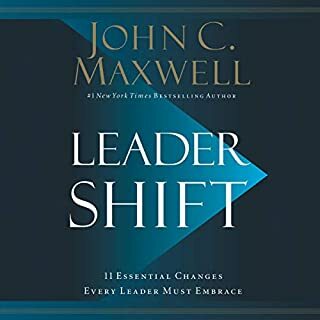 This is very similar to Leadership and Slef-Deception, Chop Wood Carry Water, and the Alchemist. 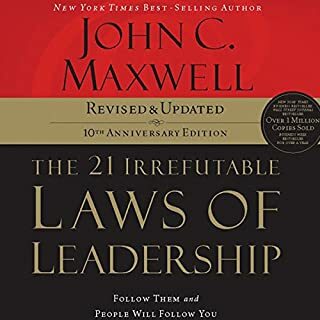 It threads the lessons of leadership into a fictional story to help the reader learn as the main character does. Personally, I’m not a fan of this type of story vehicle. It does resonate with people though. Stories are more accessible for many people. My son for instance, loved the Alchemist. I find most of these stories a little too on the nose. I think my problem with this type of vehicle is that it is clearly a work of fiction. Though there may be some truth in the lessons, the writer can lead us in any direction he/she wishes. In this book, we are promised fulfillment and riches. The main character says that’s what happened and we have the happily ever after. I prefer analysis of real, historical events. I’m sure these principles can be taught through a series of short case studies, much in the way Robert Greene writes his books. This practice reduces my disbelief because the writer is limiting the conversation to an analysis rather than writing a narrative with a clearly defined goal and the means to wiggle the details in order to end up at the right place. Not a bad book. The foundation is great, but the way it’s told is not my cup of tea.